Attending to the décor of a closet is usually not high on the priority list of home décor projects. But, custom closets of today are more than just storage to remain behind closed doors. They are thoughtfully planned spaces that allow you to feel as if you began your day by shopping at a classy boutique. When a closet is also your personal dressing room and an extension of a luxury bathroom, it cannot be left out of the total design process. They should be carefully planned spaces to store your personal wardrobe and reflect your unique style as much as the clothes within. The client did not wish to extend the marble flooring into the closet but instead designed it as a distinct personalized room. 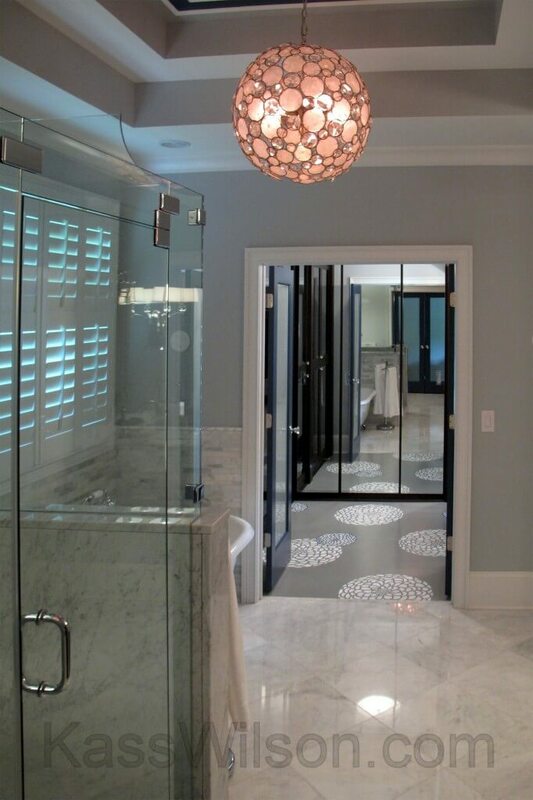 Since the walls were enveloped with mirrored custom cabinetry, the best surface to create an impact was the decorative artistry/faux finish on the floors. 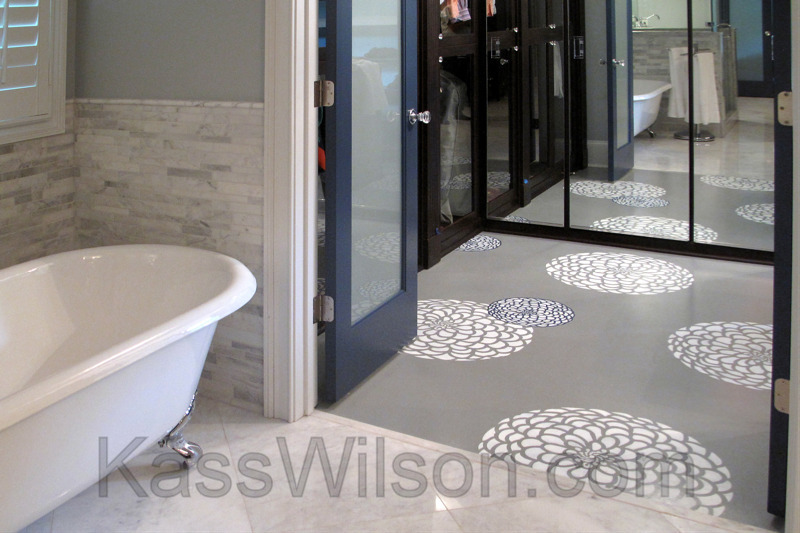 The stencil design was inspired by the spherical bathroom light fixtures. Since it would be reflected by all of the mirrors, we chose to keep the painted pattern random which allowed the space to appear even larger. 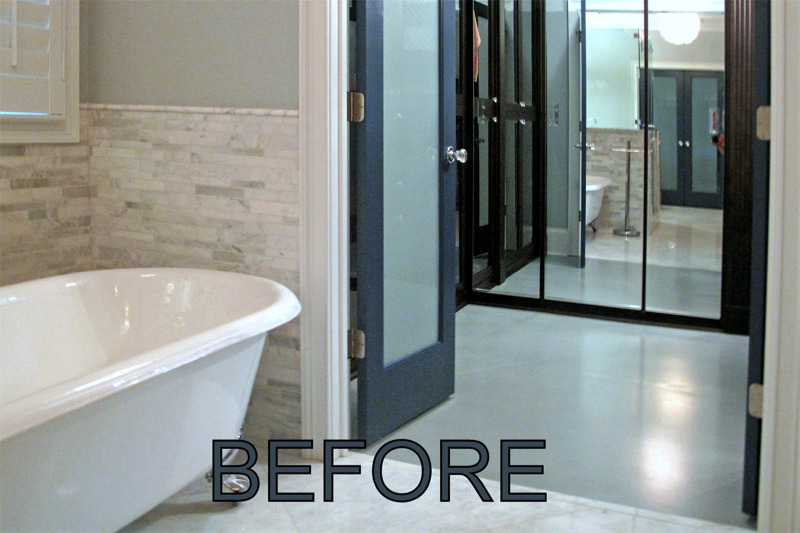 The painted floor of this closet creates an impact the minute you enter the bathroom. It is akin to a large dramatic piece of art that compliments all of the special features in the foreground. 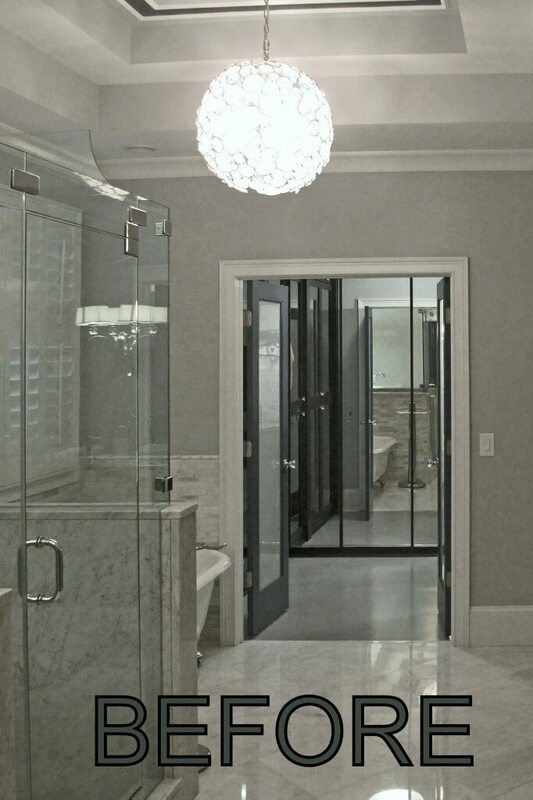 No longer will this beautiful custom closet be kept behind closed doors. What is behind your closed doors? What does your closet reveal about your personal style? Like this project? 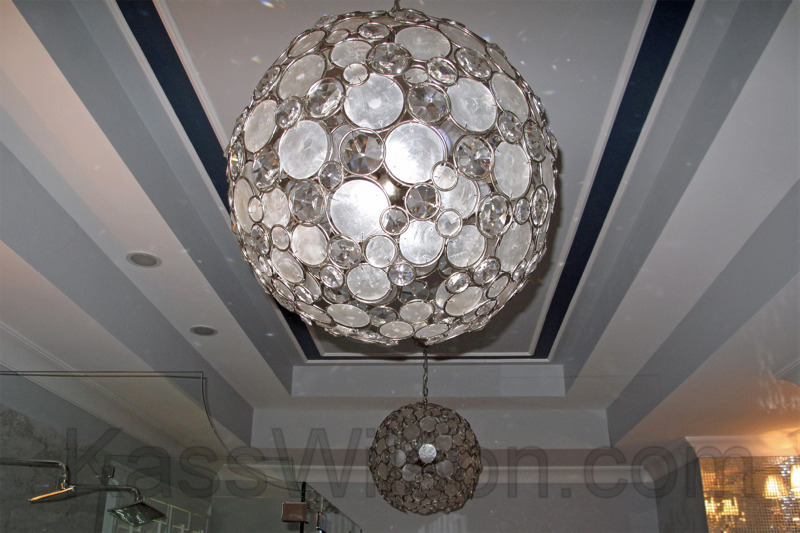 Connect with us and visit us on Facebook, Twitter, Google+, Houzz and on our website! Oh my gravy! This is awesome! It’s like walking into a fun little boutique on Rodeo Drive!! Your work is beautiful and inspiring…as always! Was this painted on cement? Very pretty! 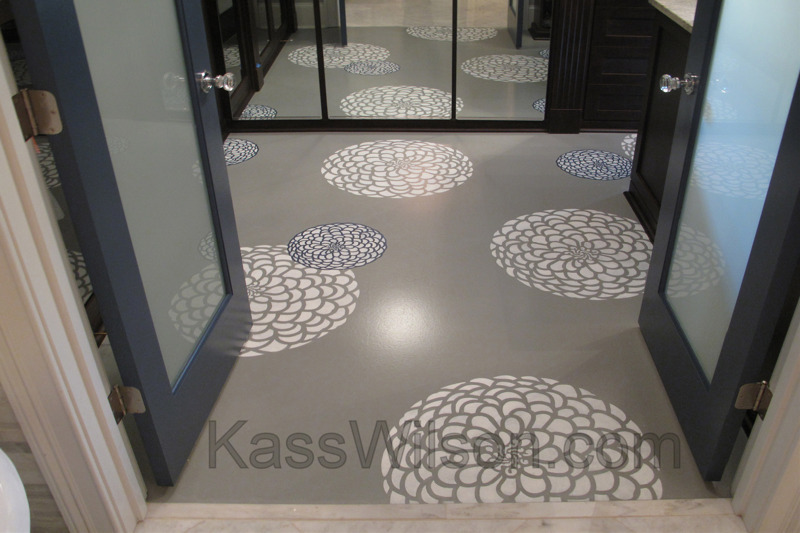 It is a beautiful design and adds so much to the floor. Thank you for sharing.